It may be possible to freeze cancer cells and kill them where they stand, rather than trying to kill them after they have spread, investigators say. The finding, by researchers from Oregon Health & Science University, was published in June in the journal Nature Communications. The team used a mouse model for their study. According to a news release from the university, Raymond Bergan, M.D., Division Chief of Hematology and Medical Oncology and professor of medicine at OHSU, said that the majority of cancer treatment therapies today are directed toward killing cancer. To date, he said, no one has developed a therapy that can stop cancer cells from moving around the body. In 2011, Bergan and his team took a novel approach to their research by working with chemists to jointly discover a drug that will inhibit the movement of cancer cells. 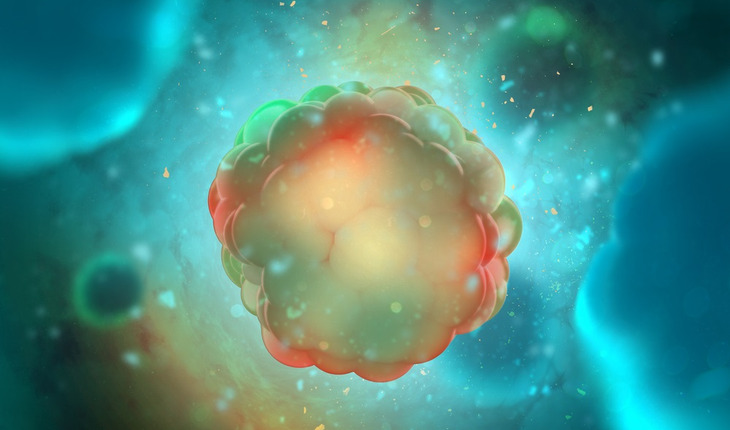 The Nature Communications paper outlines the multidisciplinary team’s work with KBU2046, a compound that was found to inhibit cell motility in four different human cell models of solid cancer types: breast, prostate, colon and lung cancers. The team of investigators includes Bergan’s team at OHSU, a chemist from Northwestern University as well as researchers from Xiamen University in China, the University of Chicago, and the University of Washington. Ryan Gordon, Ph.D., research assistant professor in the OHSU School of Medicine and co-director of the Bergan lab, said drawing upon the strengths of this cross-functional group was key to the research’s success. “As we identified areas we were lacking, we looked at new cutting-edge technologies, and if there was something that didn’t meet our needs, we developed new [assessments] to address our needs,” he said. The lab of Karl Scheidt, Ph.D., professor of chemistry and professor of pharmacology; director of the Center for Molecular Innovation and Drug Discovery; and executive director of the NewCures accelerator at Northwestern University, was responsible for the design and creation of new molecules that were then evaluated by Bergan’s team for their ability to inhibit cell motility. Using chemical synthesis approaches, Scheidt and his team accessed new compounds that minimized motility in tumor cells, with few side effects and very low toxicity. Ultimately, Gordon said the goal of this research is to look for a new therapeutic to benefit humans. “The eventual promise of this research is that we’re working toward developing a therapeutic that can help manage early stage disease, preventing patients from getting the more incurable later-stage disease,” he said. He’s quick to note this work has not been tested in humans, and doing so will require both time and money. The team’s best estimate is that will take about two years and five million dollars of funding. They are currently raising money to do IND (investigational new drug) enabling studies, a requirement to conduct a clinical trial of an unapproved drug or an approved product for a new indication or in a new patient population. In addition, Bergan and Scheidt have founded a company, Third Coast Therapeutics, aimed to bring this type of therapy to patients.